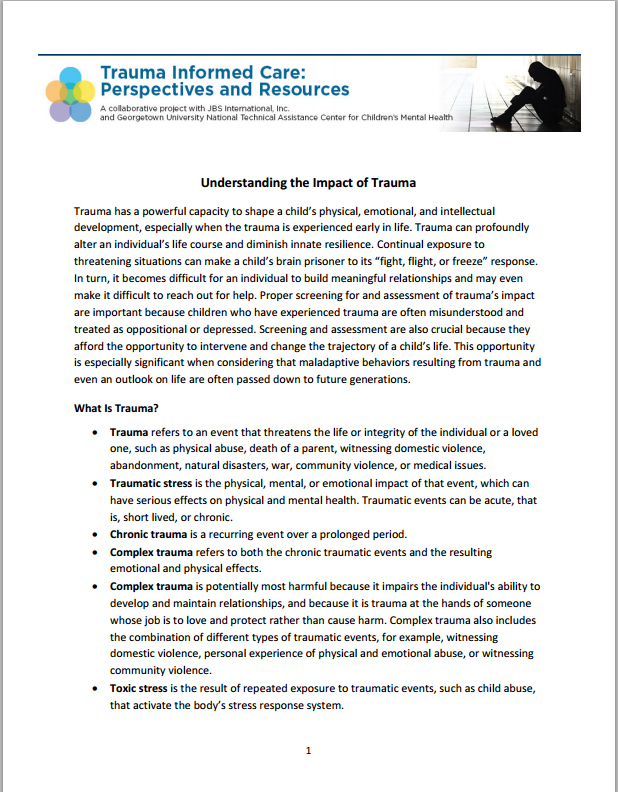 The Trauma Informed Care project's purpose is to develop statewide resources on the causes and effects of trauma and to provide a singular source for training on trauma-informed care. 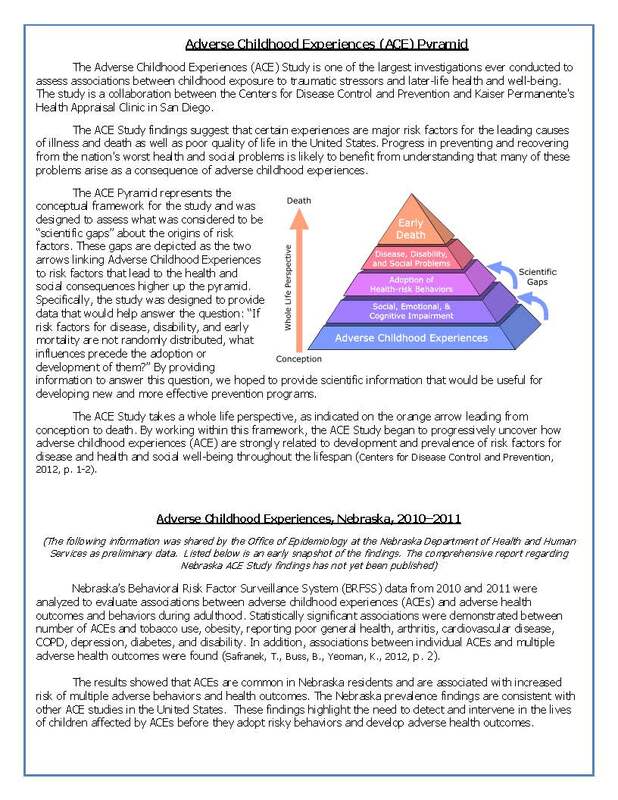 The project is a partnership of the Nebraska Department of Health and Human Services Division of Behavioral Health, Division of Behavioral Health - Office of Consumer Affairs, Division of Public Health, Division of Children and Family Services, and the Behavioral Health Education Center of Nebraska. 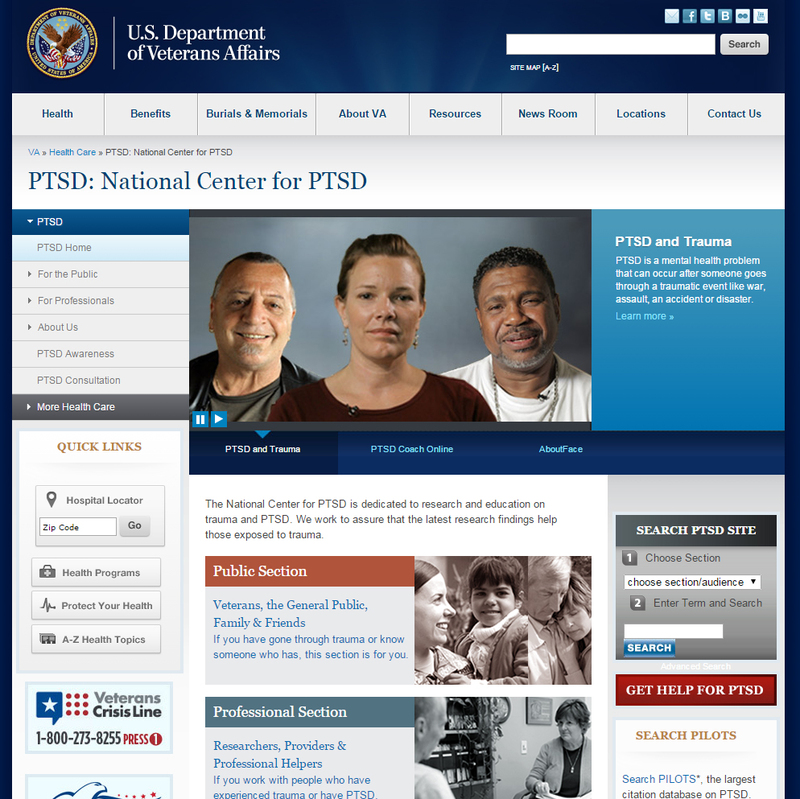 The mission of the National Center for PTSD is to advance the clinical care and social welfare of America's Veterans and others who have experienced trauma, or who have PTSD, through research, education, and training in the science, diagnosis, and treatment of PTSD and stress-related disorders. 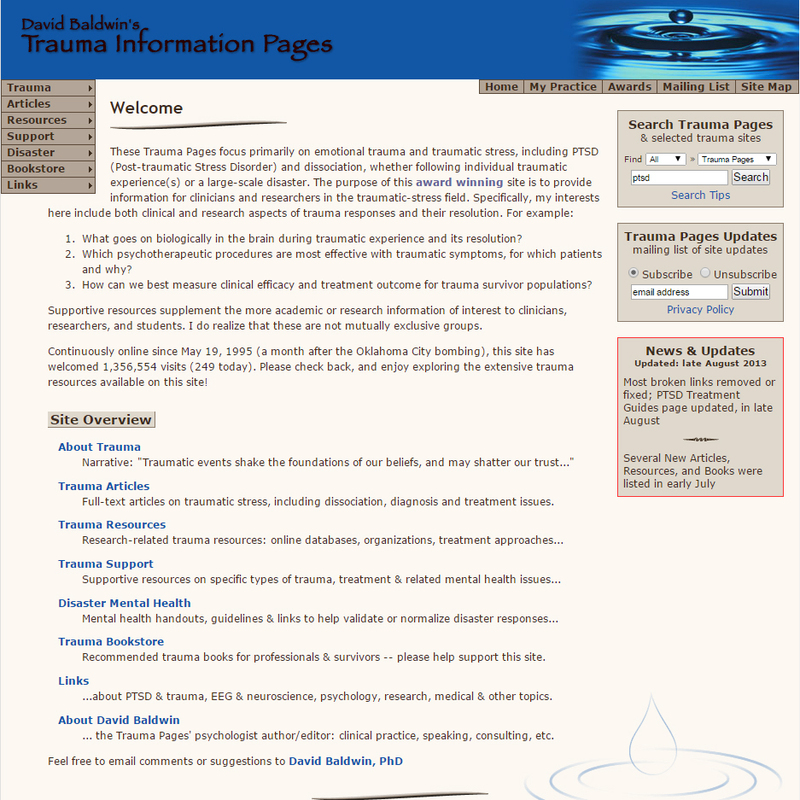 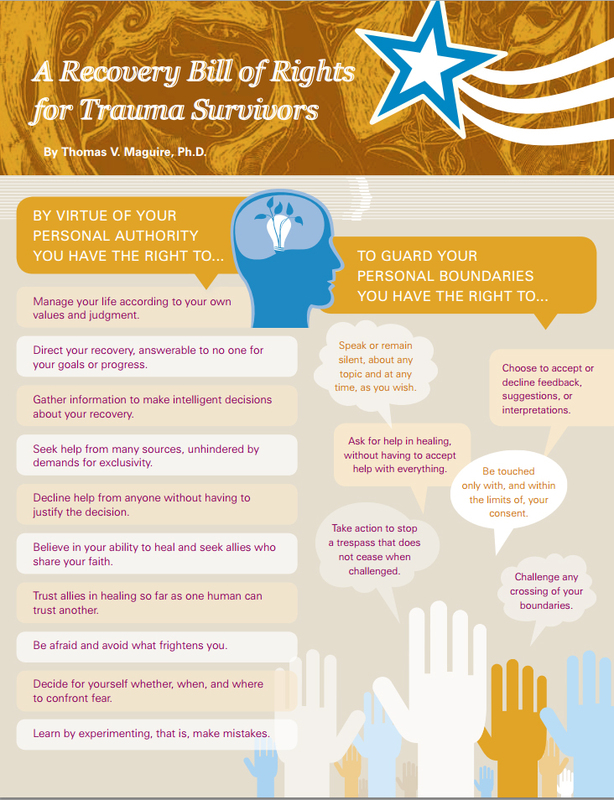 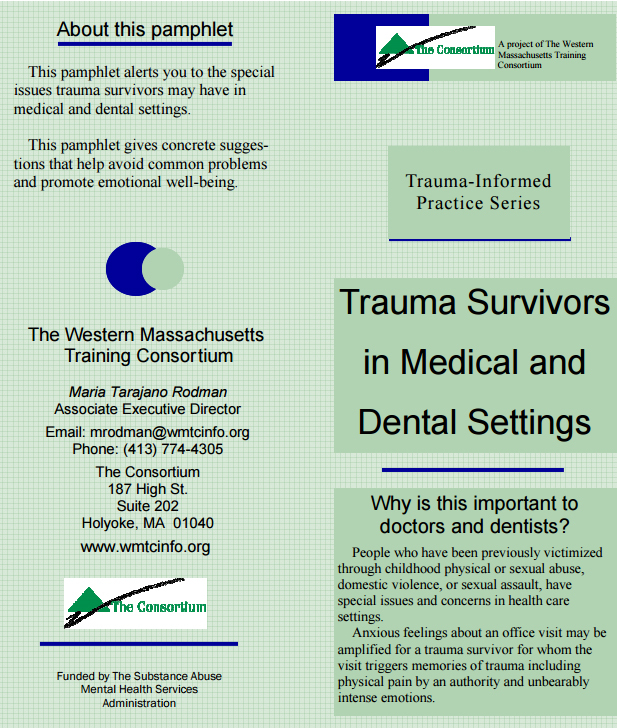 David V. Baldwin, Ph.D. has been collecting links and resources related to trauma for 20 years. 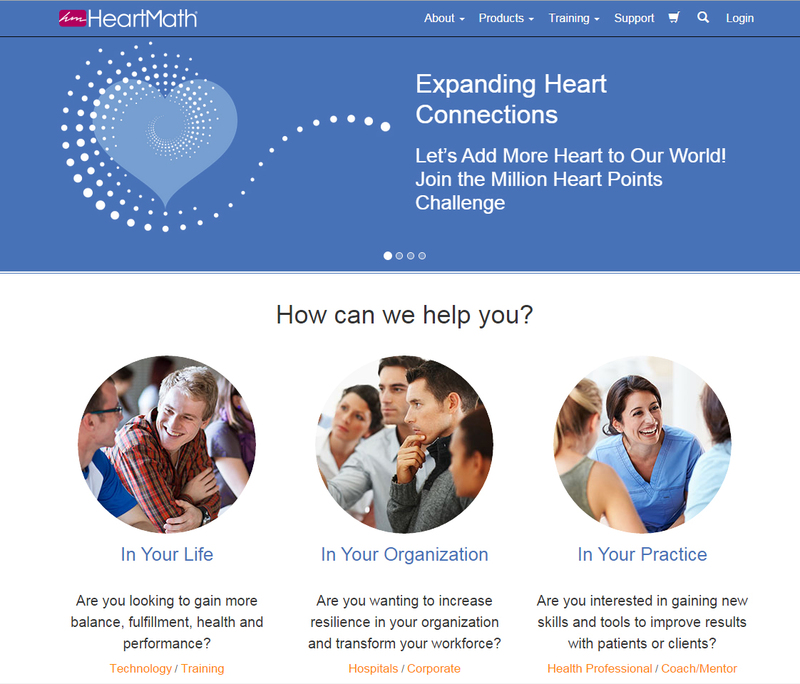 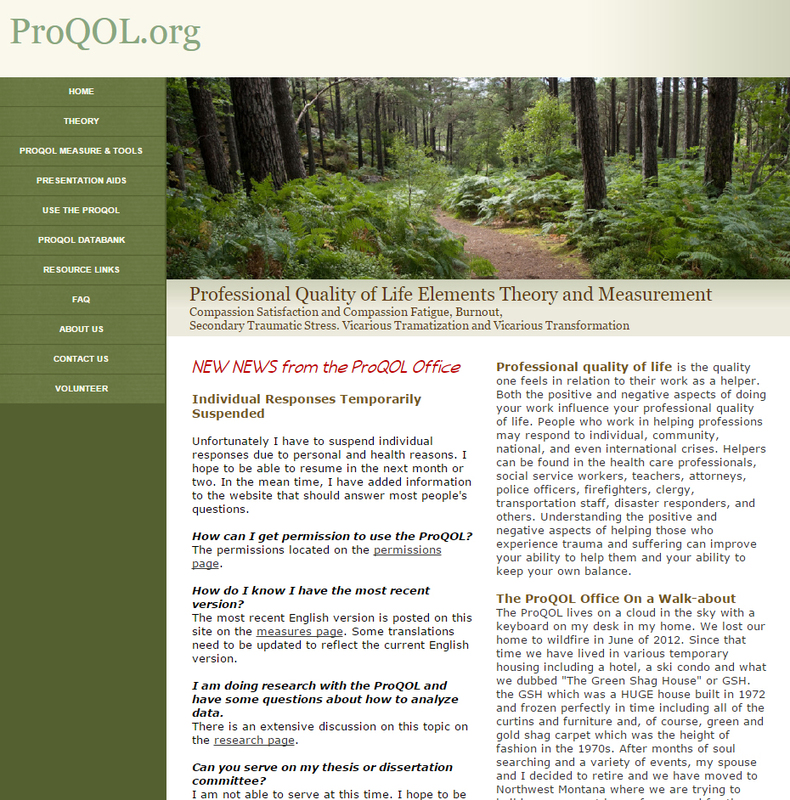 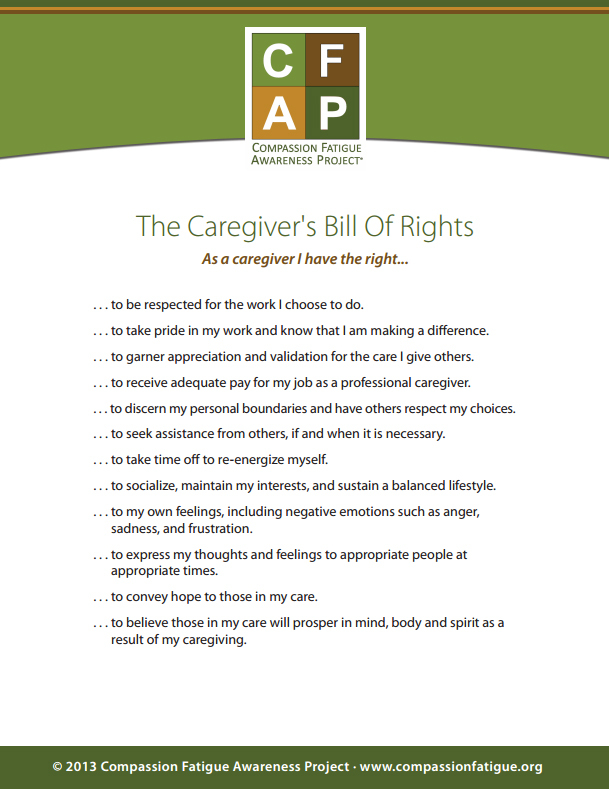 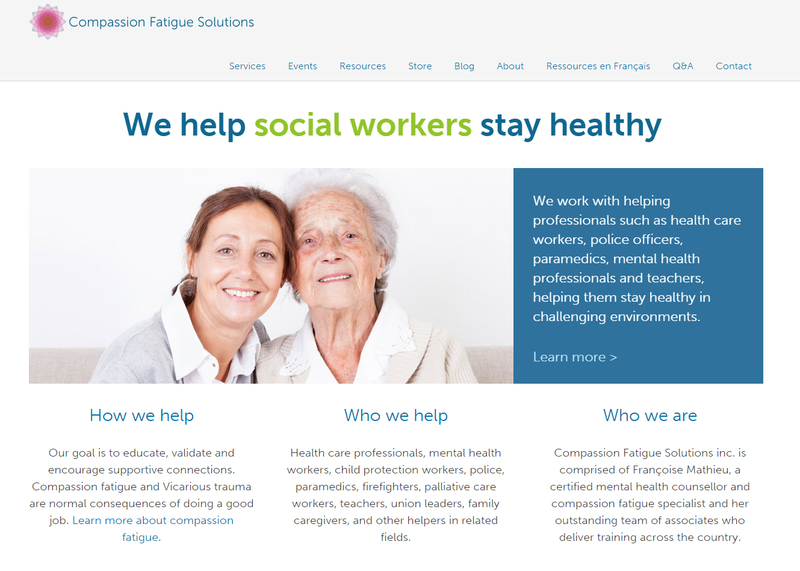 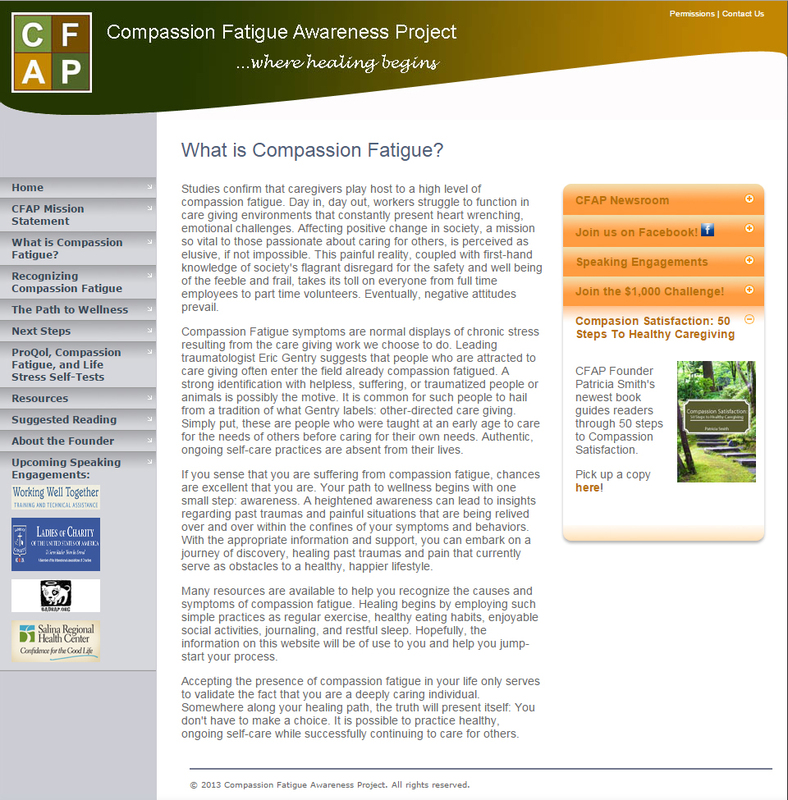 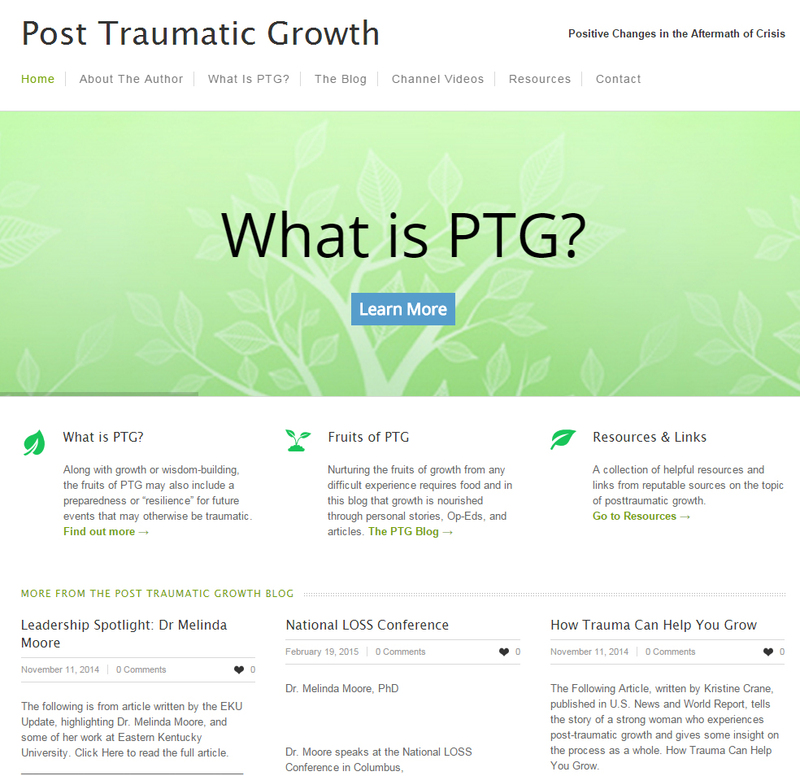 While the site is a bit dated, there are helpful resources and articles for you to peruse. 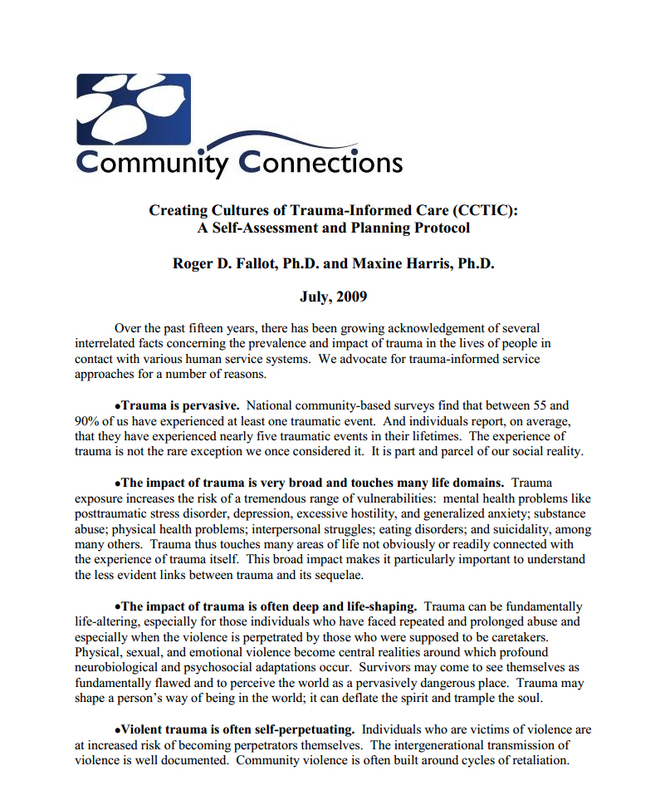 The National Center for Trauma-Informed Care and Alternatives to Seclusion and Restraint (NCTIC) is a technical assistance center dedicated to promoting alternatives to seclusion and restraint and building the knowledge base on the implementation of trauma-informed approaches in programs, services, and systems. 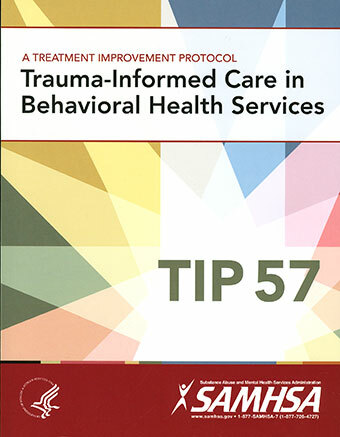 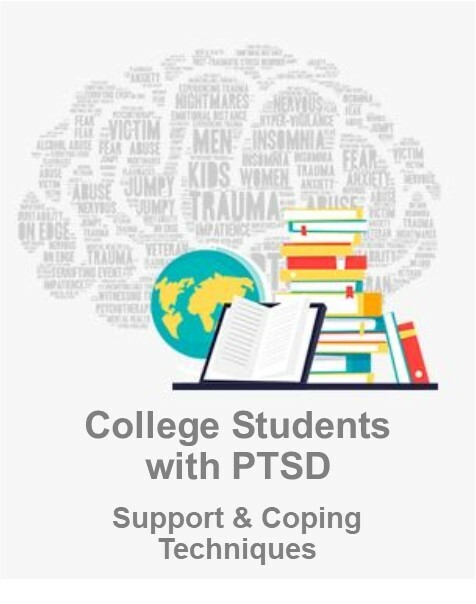 SAMHSA's Treatment Improvement Protocol (TIP) 57 assists behavioral health professionals in understanding the impact and consequences for those who experience trauma. 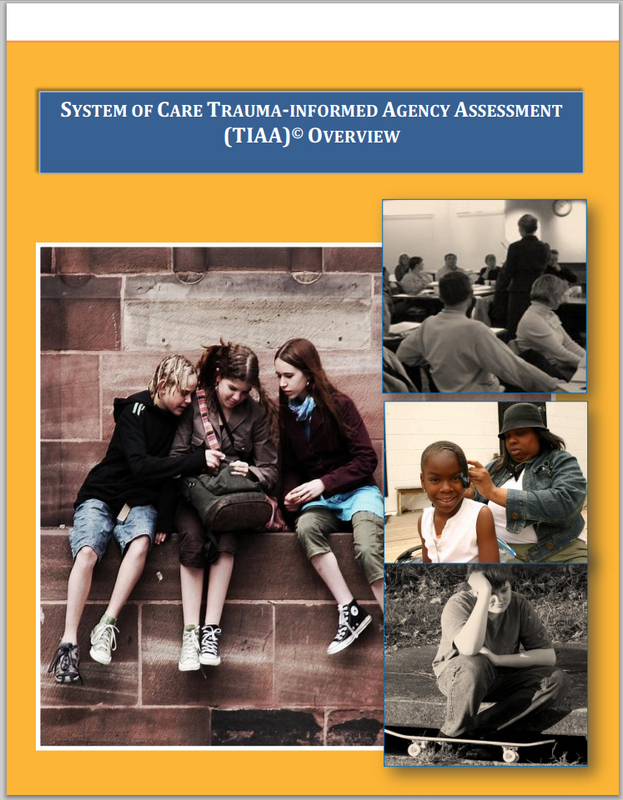 Discusses patient assessment, treatment planning strategies that support recovery, and building a trauma-informed care workforce. 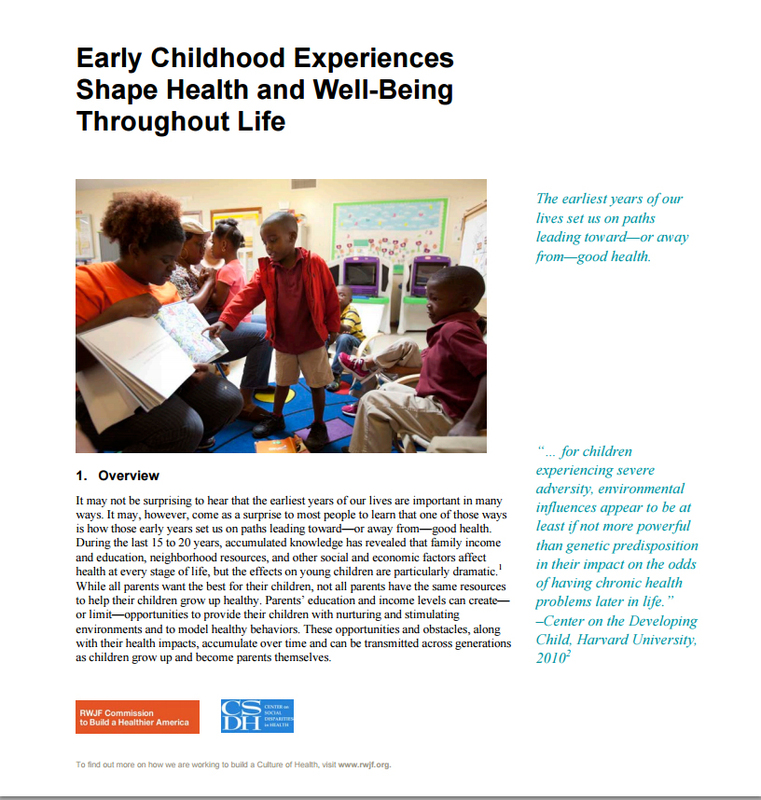 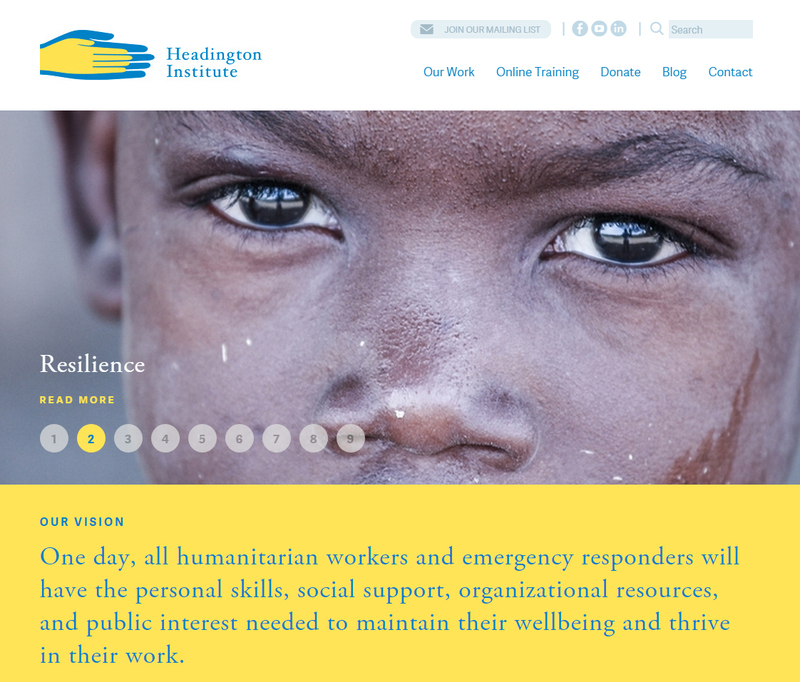 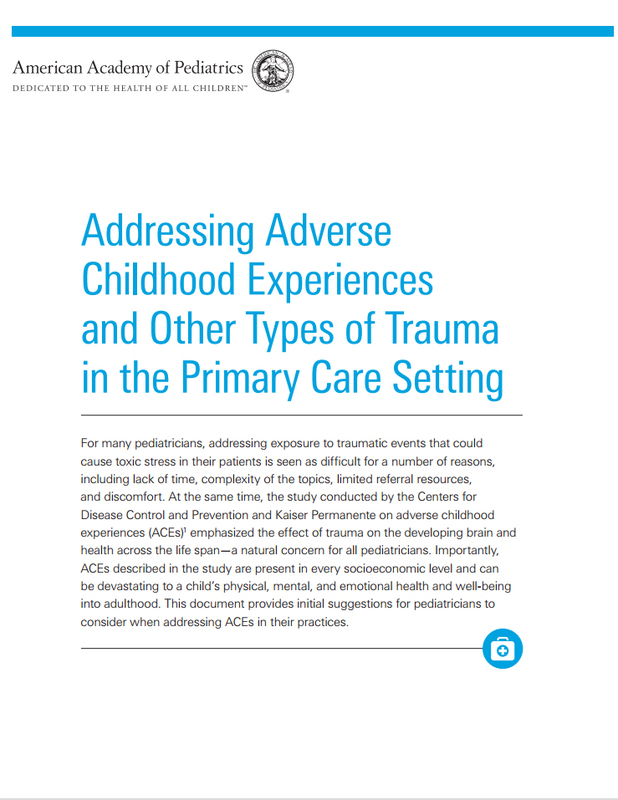 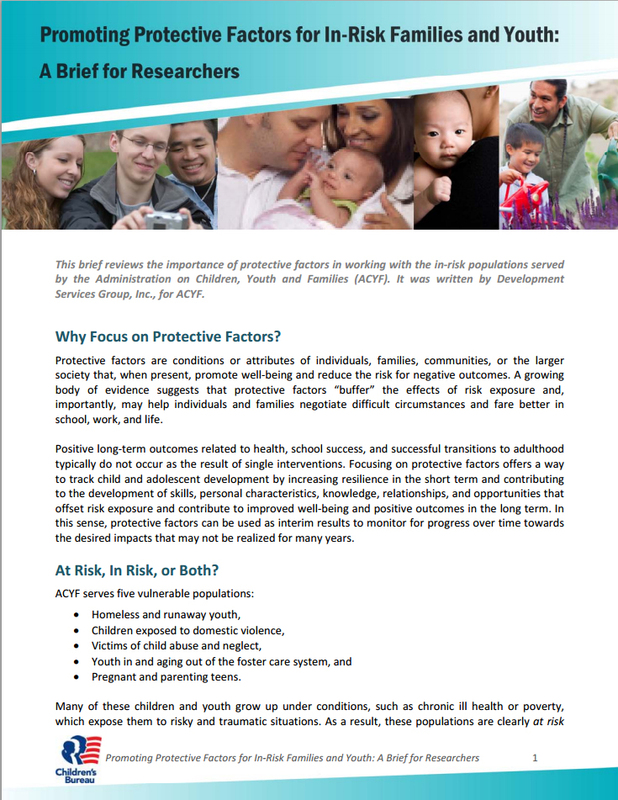 This community of practice uses trauma-informed, resilience-building practices to prevent Adverse Childhood Experiences (ACEs) and to change systems to stop traumatizing already traumatized people. 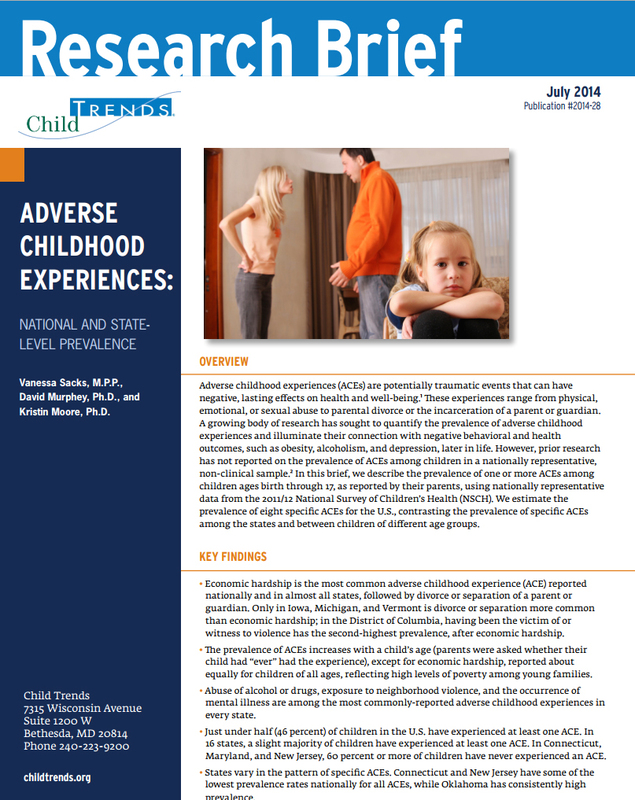 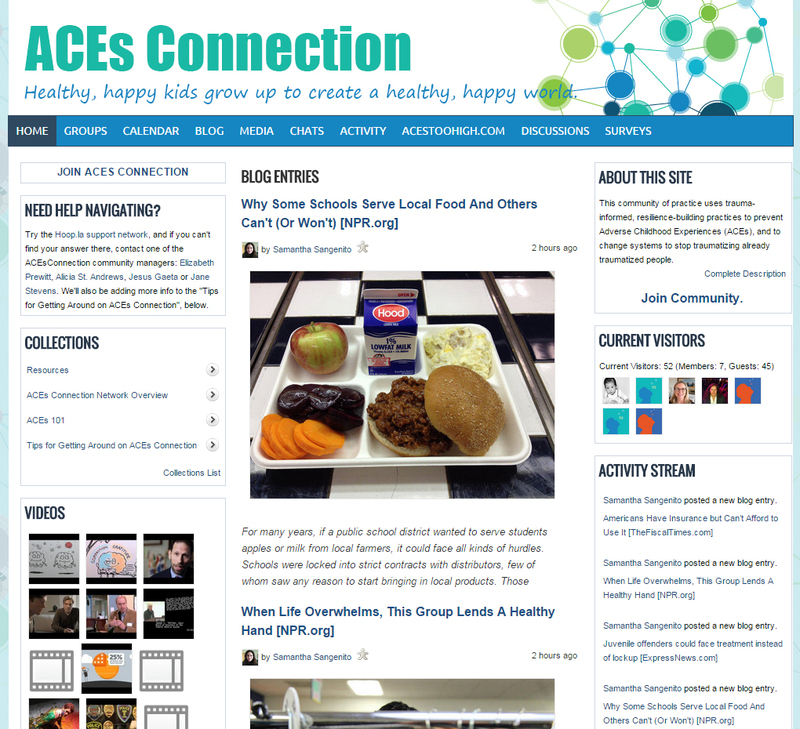 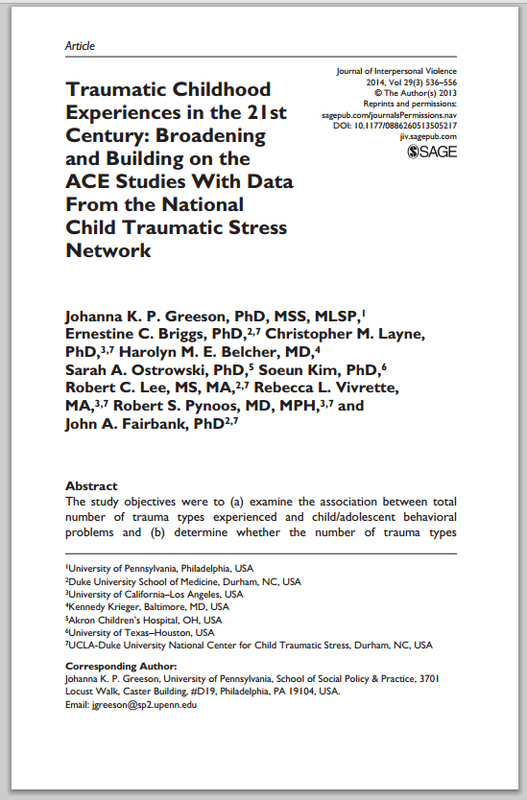 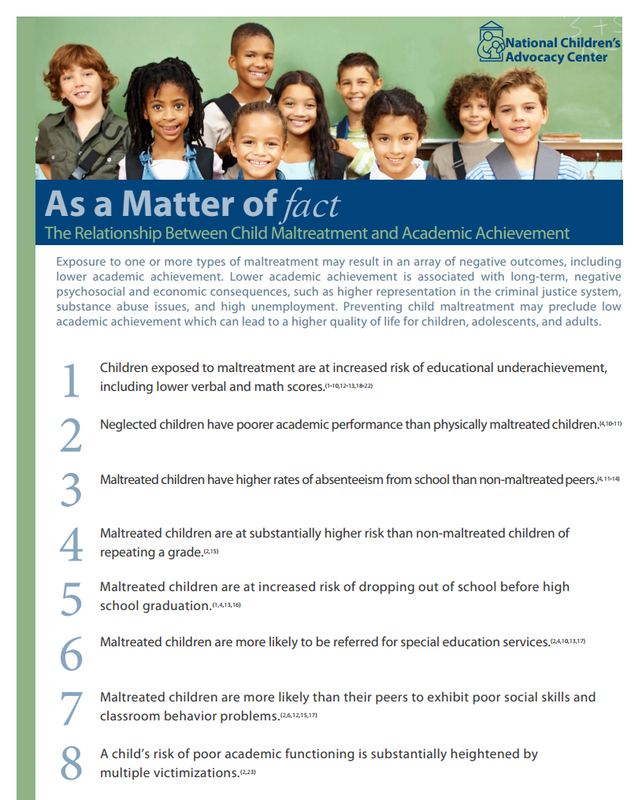 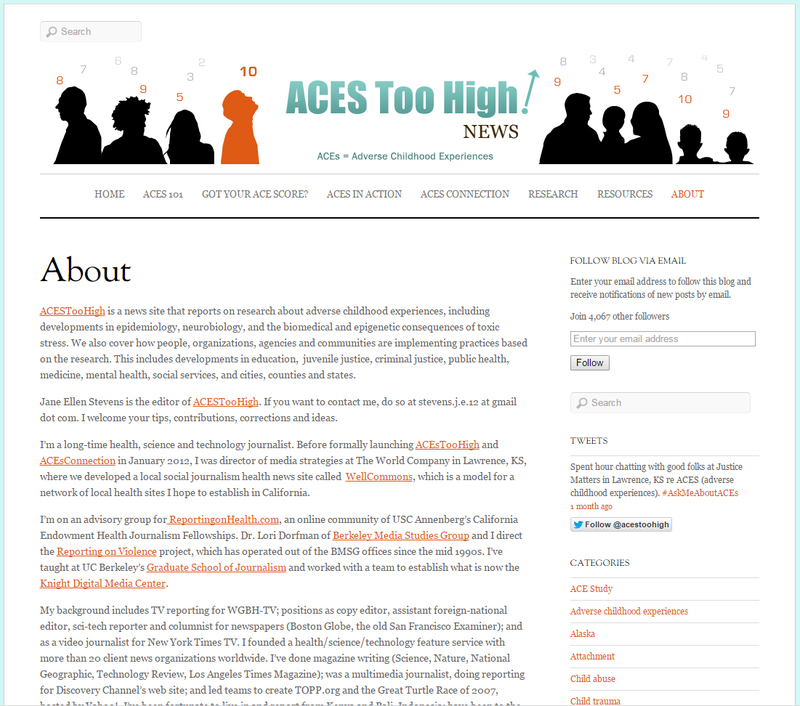 ACE's Too High is a news site that reports on research about adverse childhood experiences, including developments in epidemiology, neurobiology, and the biomedical and epigenetic consequences of toxic stress. 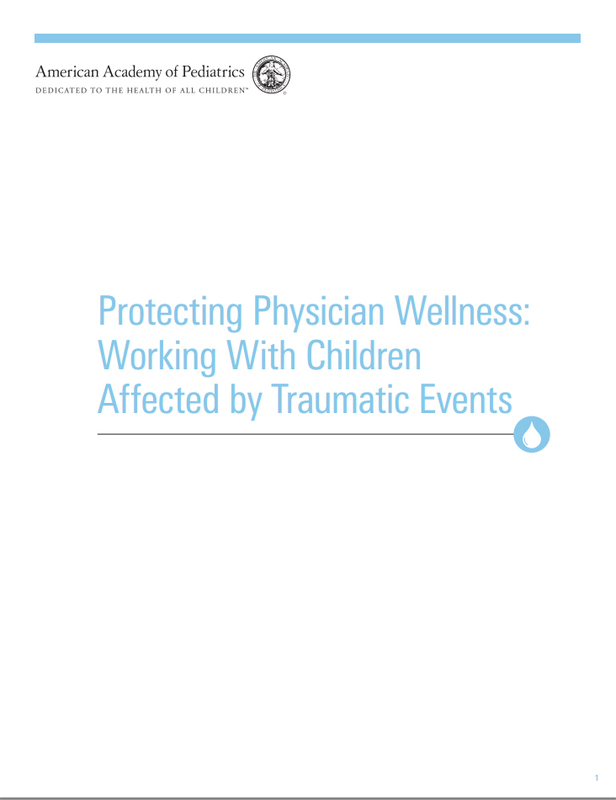 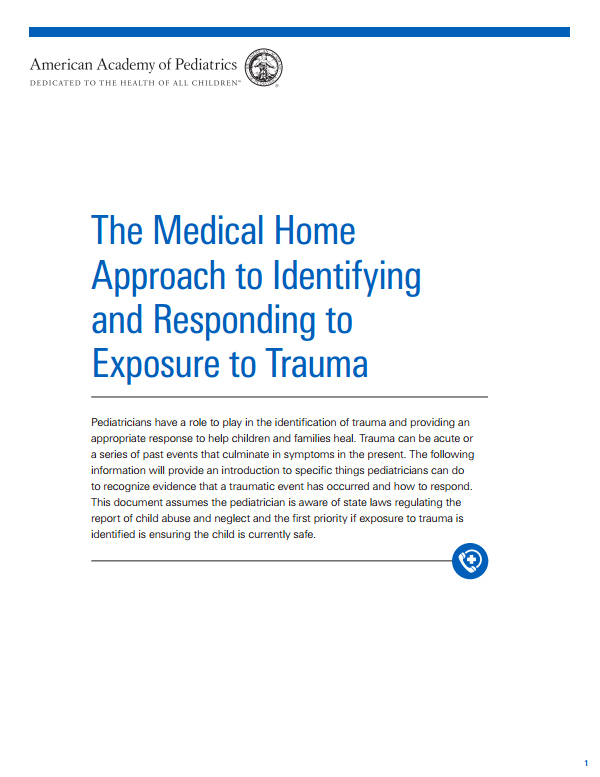 The National Child, Traumatic Stress Network, works to raise the standard of care and improve access to services for traumatized children, their families and communities throughout the United States. 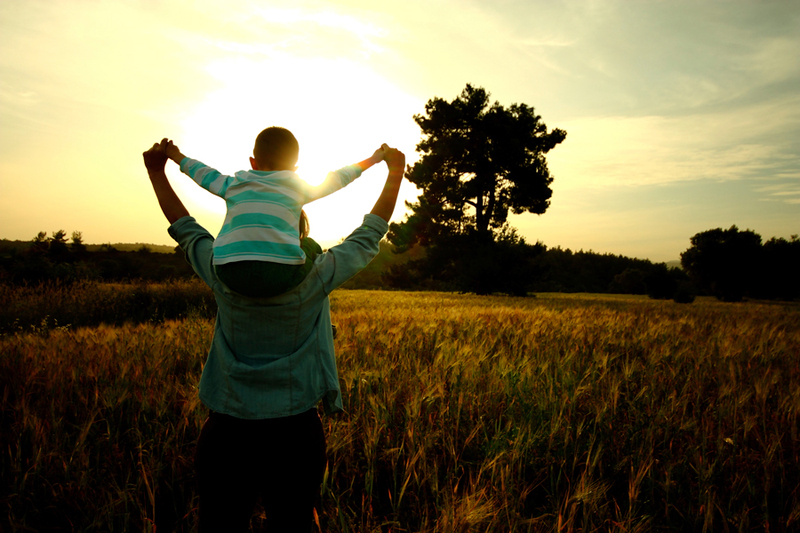 SAMHSA is committed to advancing the adoption of evidence-based interventions related to mental health and substance use. 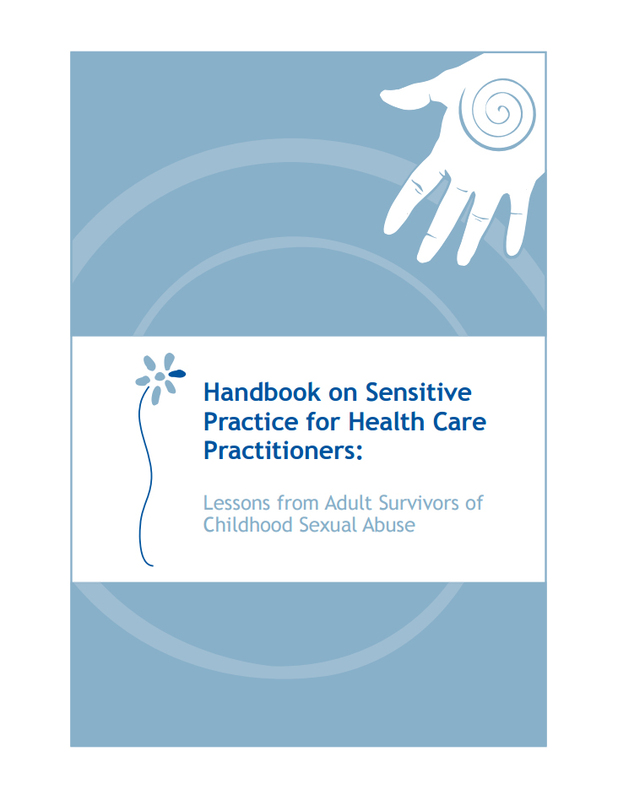 In April 2018, SAMHSA launched the NEW Evidence-Based Practices Resource Center (Resource Center) that aims to provide communities, clinicians, policy makers, and others in the field with the information and tools they need to incorporate evidence-based practices into their communities or clinical settings. 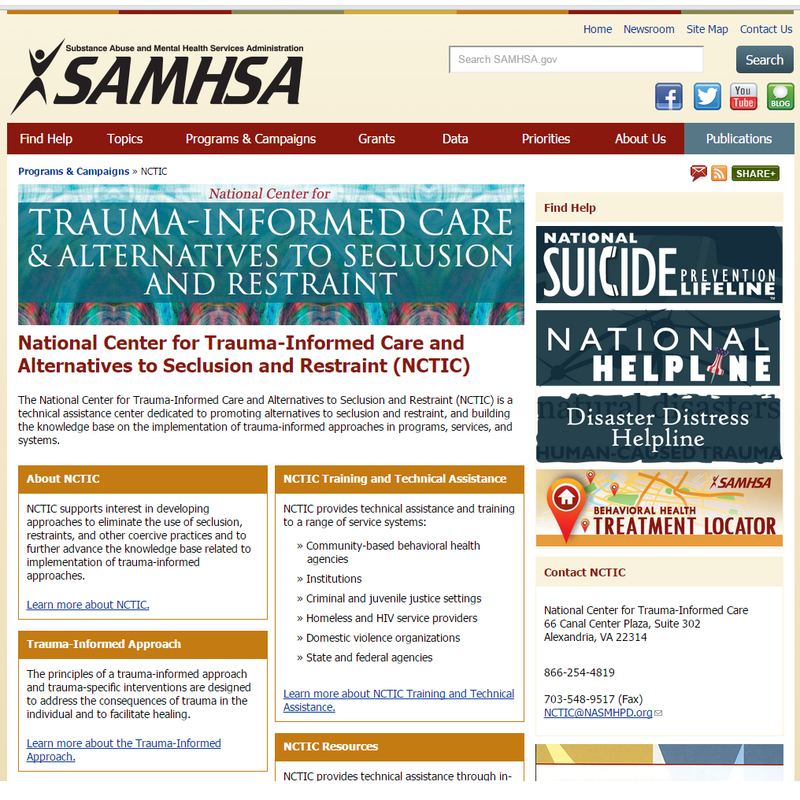 The Resource Center contains a collection of science-based resources and is part of SAMHSA’s new comprehensive approach to identify and disseminate clinically sound and scientifically based policy, practices, and programs. 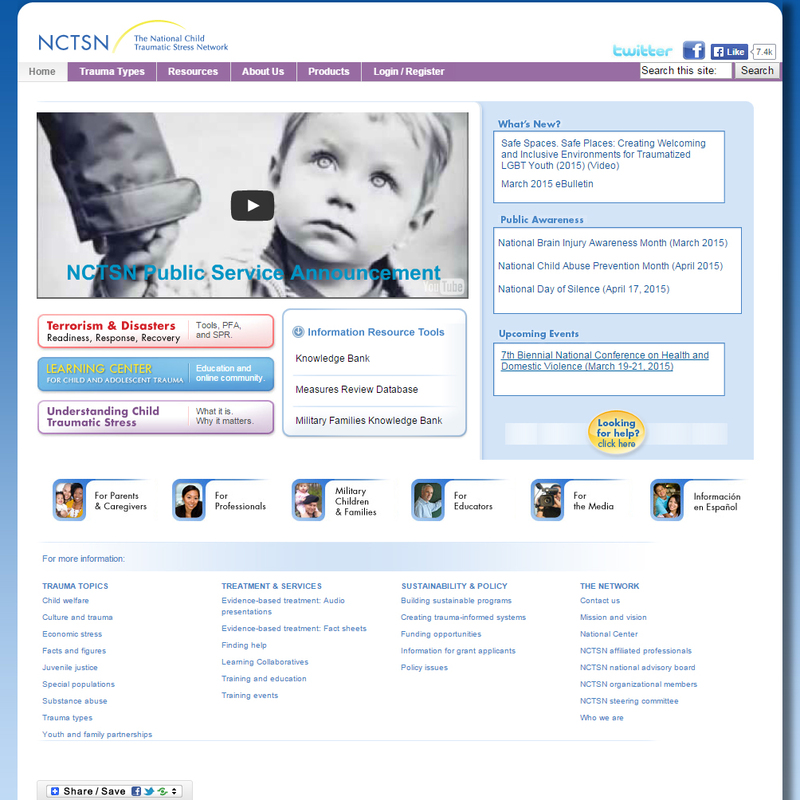 Consistent with the January 2018 announcement from the Assistant Secretary for Mental Health and Substance Use related to discontinuing the National Registry of Evidence-based Programs and Practices (NREPP), SAMHSA has now phased out the NREPP website, which has been in existence since 1997.
https://www.samhsa.gov/ebp-resource-center Searchable collection of scientifically-based resources for a broad range of audiences, including Treatment Improvement Protocols, toolkits, resource guides, clinical practice guidelines, and other science-based resources.